and enlisted men in the service of aviation. during and after the World War 1914 - 1918. 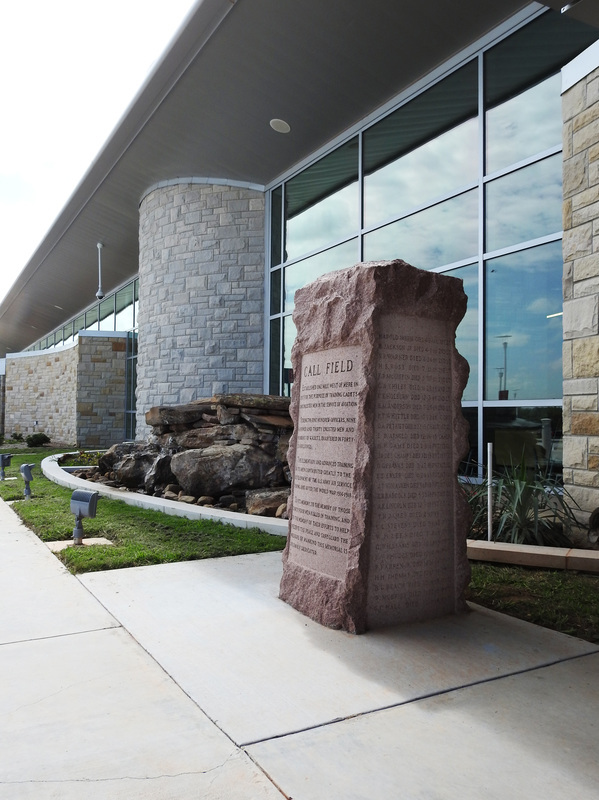 Located at the front of the Wichita Falls Regional Airport, GPS coordinates 33-degrees 57' 51.9" -98-degrees 29' 30.3". 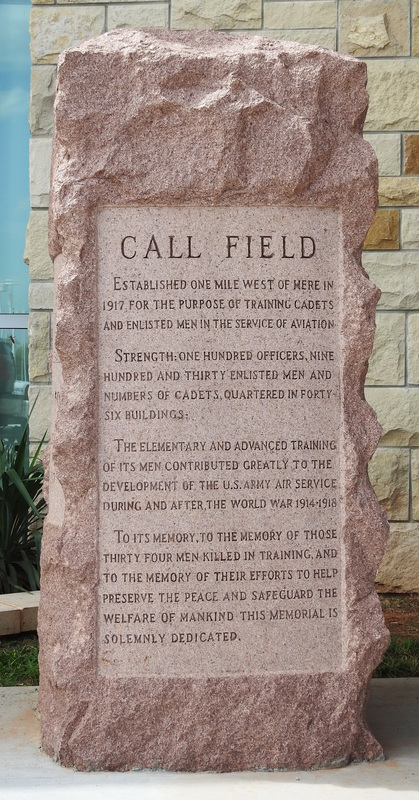 For more information about Call Field at the Handbook of Texas Online, click the button below.